So, did you know that when your husband teaches at a seminary, the end of your academic year is spent going to one amazing liturgical event after another? (I tell you guys, God knew what he was doing when he paired me with this man. Being married to someone adjuncting at a seminary is basically heaven on earth for a liturgy nut like me!) 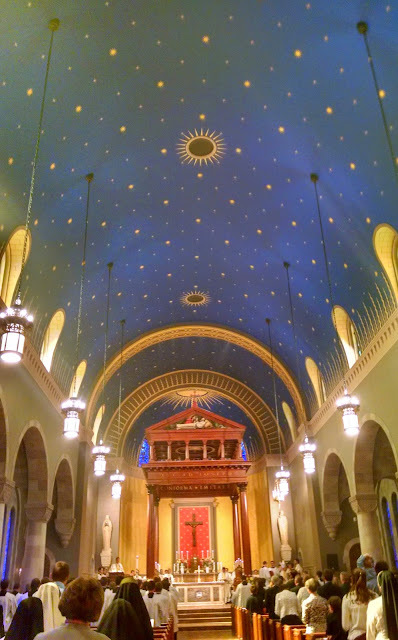 This weekend alone, we had a deaconate ordination on Saturday, followed by a dedication of the seminary's newly remodeled chapel on Sunday morning. I thought the chapel was beautiful before...but now it is stunning. It is incredible. I've heard it said before, and in my experience it is true - that God will never outdo you in generosity. What you hand over to him (sometimes sorrowfully) He will give you back a thousandfold. 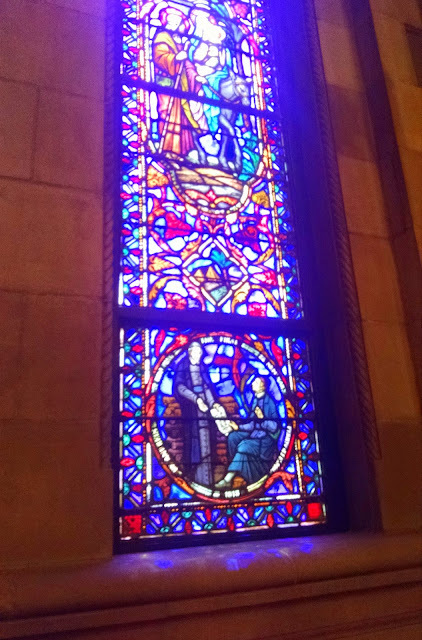 After our Master's programs were finished at Notre Dame, and Andrew accepted a place in a program a good 6-7 hours away from "Catholic Disneyland", I thought I was bidding farewell to awesome liturgies. Granted, we've been to some beautiful liturgies since leaving South Bend, but none that came close to the ones at the Basilica of the Sacred Heart. Gone were the processions of priests, many of whom I knew by name. Gone was the copious incense. 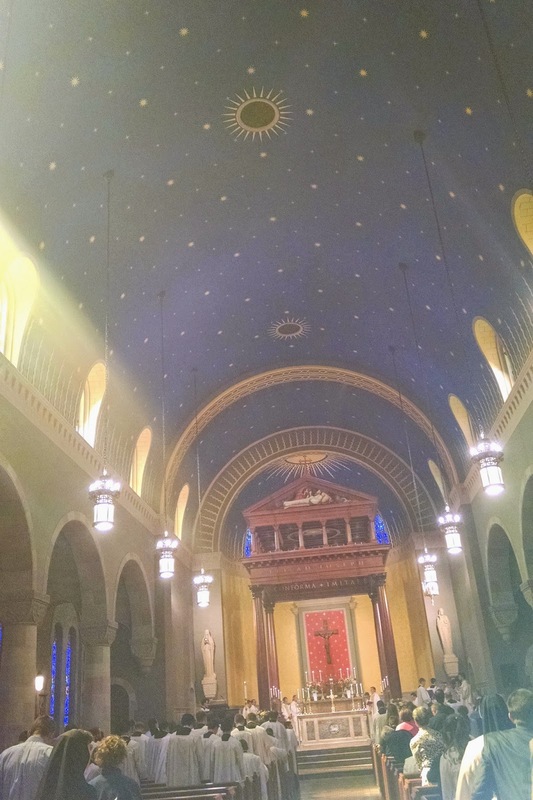 Gone was the feeling that the liturgy was truly a taste of heaven on earth. And in some ways, being at the seminary is even more special than being at Notre Dame (don't revoke my Domer status for saying so, please). I can't begin to put it into words, but there is just something so humbling and beautiful about being a part of a liturgical community filled with men giving up their entire lives for Christ and His Church. It is almost makes me tear up, thinking about what a gift it has been to me and to my family. Being with the seminarians has helped me through some very spiritually dry periods in the past year. But, needless to say, experiencing beautiful and long liturgies now is very different than experiencing them in college. Namely, because I have a couple little people who are experiencing them by my side. So, first of all, I have to say that a liturgy is truly an incredible liturgy if even a mother wrangling very small children, walks away uplifted rather than stressed. This liturgy more than fit the bill! I would actually much rather go to a very long, but incredibly beautiful liturgy with small children, than I would go to a typical Sunday Mass with small children. Because something about a beautiful liturgy, and the foretaste of heaven it gives, helps me to be able to keep mothering these little people. It reminds me that this is not the end - this little family of mine is made for heaven, and for union with God. 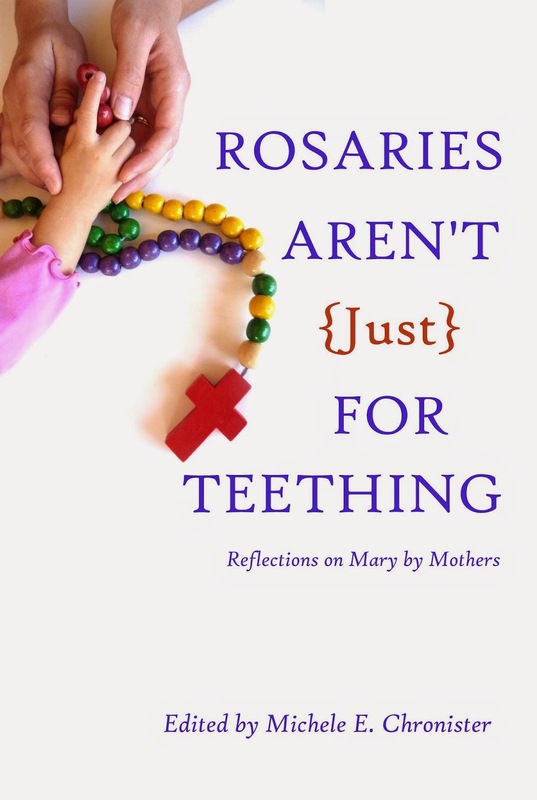 So...how can I possible have that view of special liturgies with small children? I apply one special rule. When going to a long, special liturgy - be flexible, and don't worry about maintaining your usual "Mass standards." Basically, treat a special Mass the way you would treat a holiday with family. Do you strictly enforce bedtimes and naptimes when you are visiting family for Christmas? You probably try to loosely adhere to your normal schedule, but you have to be flexible. Do you enforce the same rules about eating sweets when Easter rolls around? Probably not (unless you have to for dietary reasons). Do you stick to the same screentime rules when you're visiting grandparents? Quite possibly not (especially if you're like us, and don't have cable, and both sets of grandparents do). The point is...when you're with family and loved ones, or when you're celebrating something special - you just celebrate. You know that it's a special occasion. You know that the rules need to be bent a little to maintain your sanity. And you know that that doesn't mean that you have to bend the rules every day after that. But, by being flexible, not only are your children able to enjoy themselves, but you are, too! You're not stressing about "sticking to the rules" and you're cutting yourself some slack. These special Masses in the Church - ordinations, weddings, First Communions and Confirmations, church dedications, great Feasts - they are the Church's equivalent of family holiday get-togethers. Sure, your family may get together on a regular basis (just as the Church family gathers every Sunday) but when you are having a special gathering, to celebrate something big...exceptions to rules can be made. 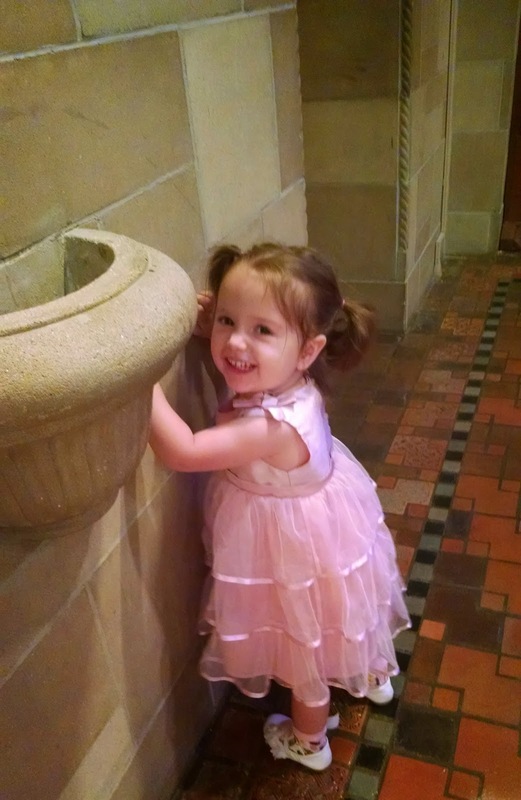 It is part of teaching your children that something special and different is happening at Mass. And it is part of relaxing and allowing yourself to enjoy the liturgy, too! I also think that really, really good music at Mass can make a world of difference. It helps us to pray better as adults, but it also helps children to pray better, too. Children can sense the sacred. 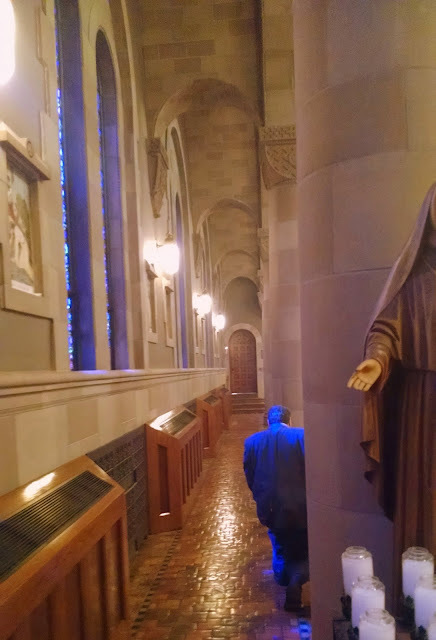 For most of the academic year, we were having Mass at the seminary in a make-shift chapel in the basement, and I can tell you that Mass behavior is a million times better now that we're in the actual chapel again. 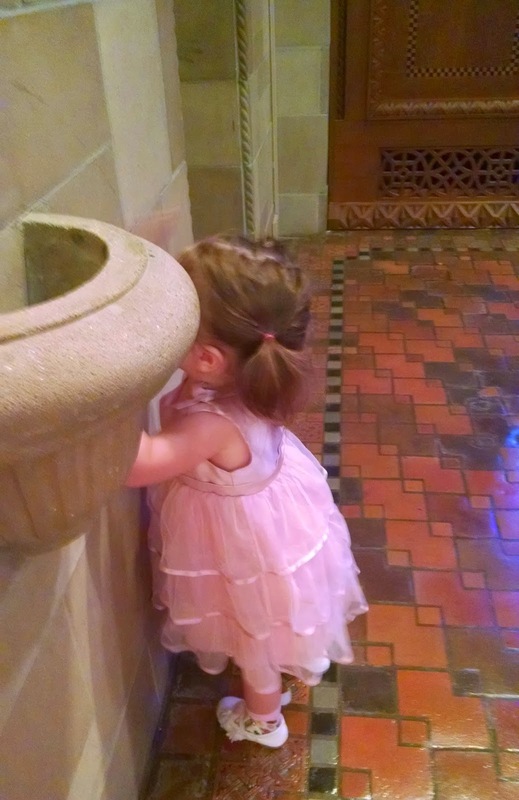 Something about pews helps rein toddlers in, just a teeny, tiny bit more than usual. Give me a church full of incense and sunshine any day of the week. Please and thank you. But music, when it is truly beautiful, when it lifts up our gaze to heaven...well, that can help a toddler to pay attention, too. And it can be a rallying cry (even a fight song, if you will) for the Church here on earth. Yes, life can be a struggle in this "veil of tears" but we will make it! That hymn, I think, is the Catholic fight song. And trust me, I know a good fight song when I hear one. We'll triumph through our sorrows, and rise to bless you still. And make a joyful duty, our sacrifice of praise! You could practically reach out and feel the joy in the room, it was so palpable when this hymn was sung. Take heart, dear friends. This world is not our home, and the very best is still yet to come! And don't forget to order/pre-order your copy of the book today. Just click here for more info. Hope your week is a lovely one, friends!